This looks like a fabulous recipe. 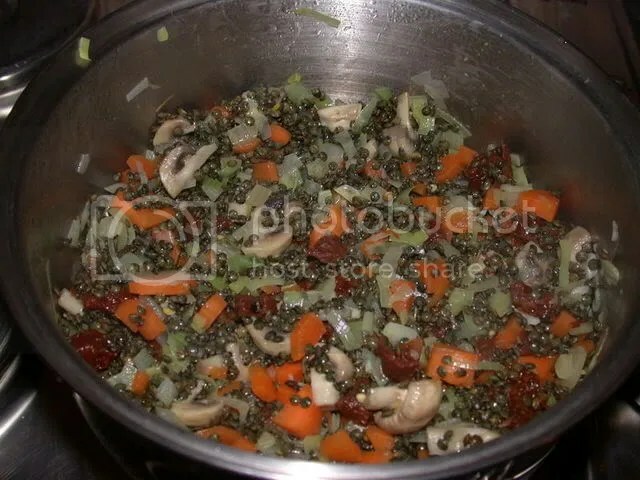 I really liked the addition to lentils to pasta. Very creative. Hi. This is a lovely recipe, is there any way that I can email this to my daughter in Canada. and she’ll go straight here. Your recipe for wild mushroom bourguignon pie sould delicious can I have a copy? Looks great, could I use red lentils instead as I have a packet in the house and don’t want to drive a car just to buy Puy lentils. Will the red be too sloppy?? Just wanted to say thanks, I love this recipe! Even though I am a meat eater I like to go vegetarian every now and again. 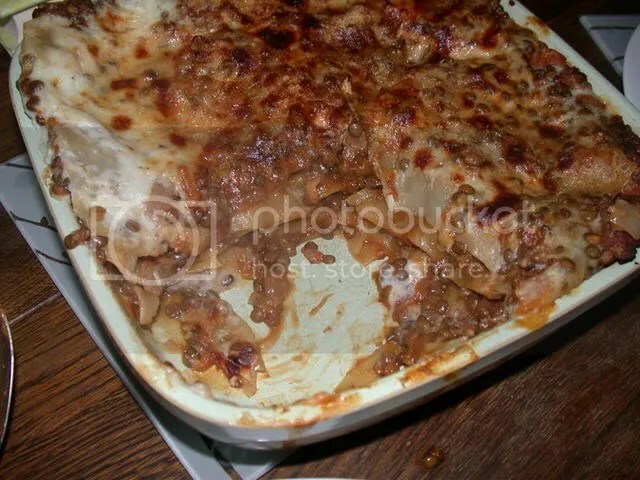 I tried this recipe there is only one word for this Puy Lentil Lasagne, legend. A favourite. I’m making a variation of this tonight. Mmmmmm! This was delicious!!! Will def bookmark this page! sounds great want to make a big batch can it be frozen? I love this recipe, I will make it for my mother thank you. I enjoyed making and eating this as much as your description of how to do it. My only comment was that there wasn’t enough sauce – I think in maybe 1.5 to 2 pints of milk needed. For non vegans add cheese, and English Mustard and nutmeg also enhance the flavour.